The purpose of Veterans Cause is to provide a way for veterans suffering from PTSD to connect with fellow veterans who are experiencing like symptoms and to develop camaraderie with like minded soldiers to create a peer to peer support group. 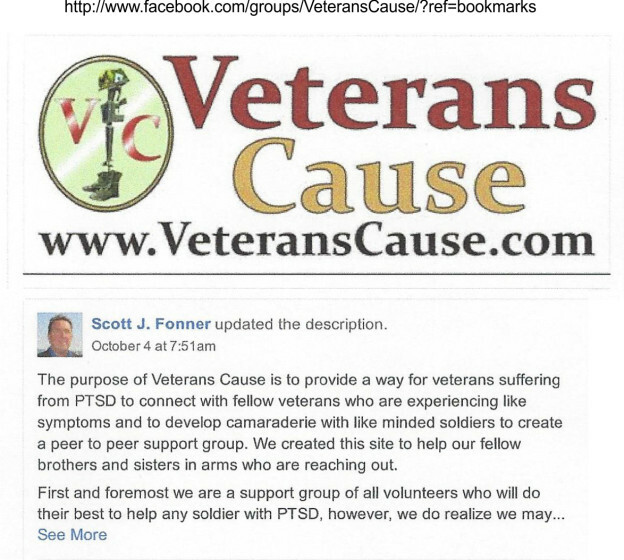 We created this site to help our fellow brothers and sisters in arms who are reaching out. Veterans Cause is currently a Harrisburg, PA organization but hopes to affiliate with other citizens who wish to assist their veterans in a similar manner.